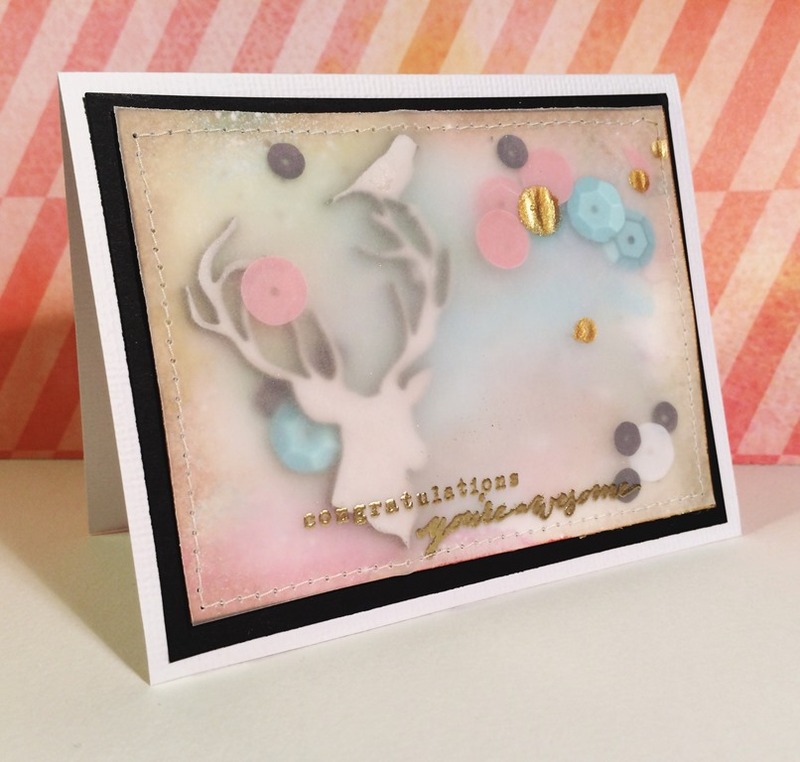 This month among other things mixed media is the theme for En liten butik and I made a card with mixed media background. Well, I was going to make one but then I had problems deciding so then I made two. 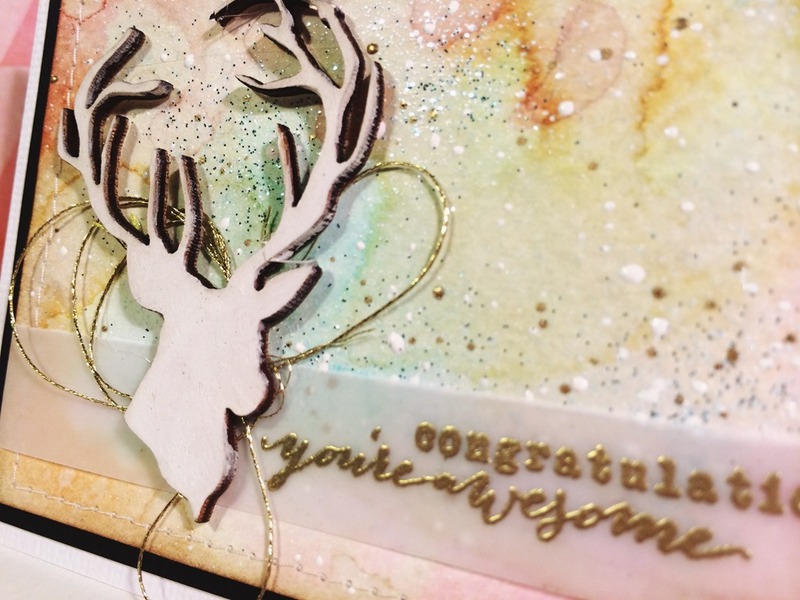 This awesome wooden head of a deer is from Kaiserkraft and it looks really pretty on the colorful background and with the gold embossing. 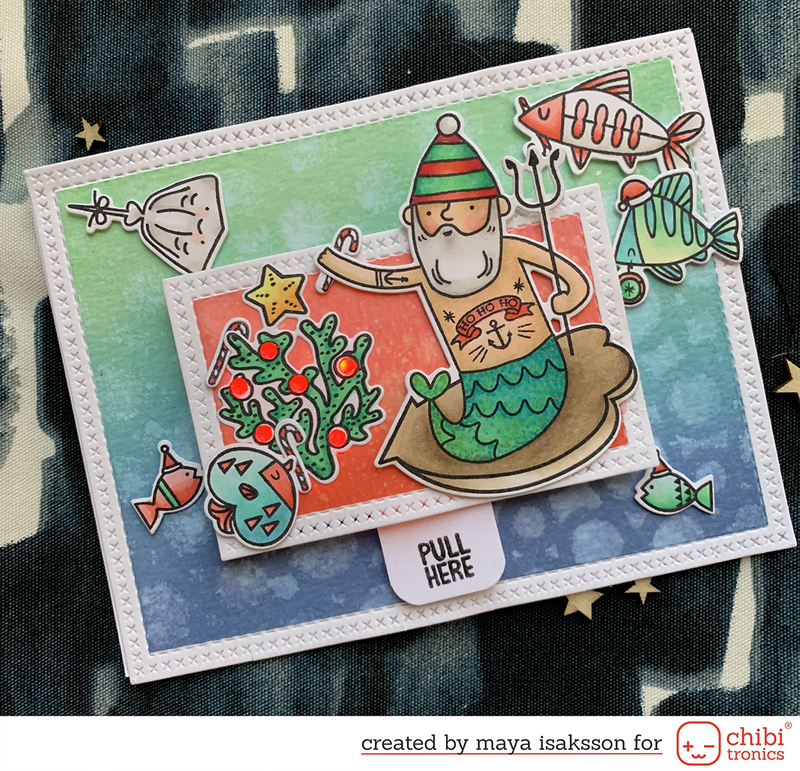 Then I made another one, the same as the other one but I made a vellum window and filled the card with sequins. Cute! I love these cards, they are super pretty up close. 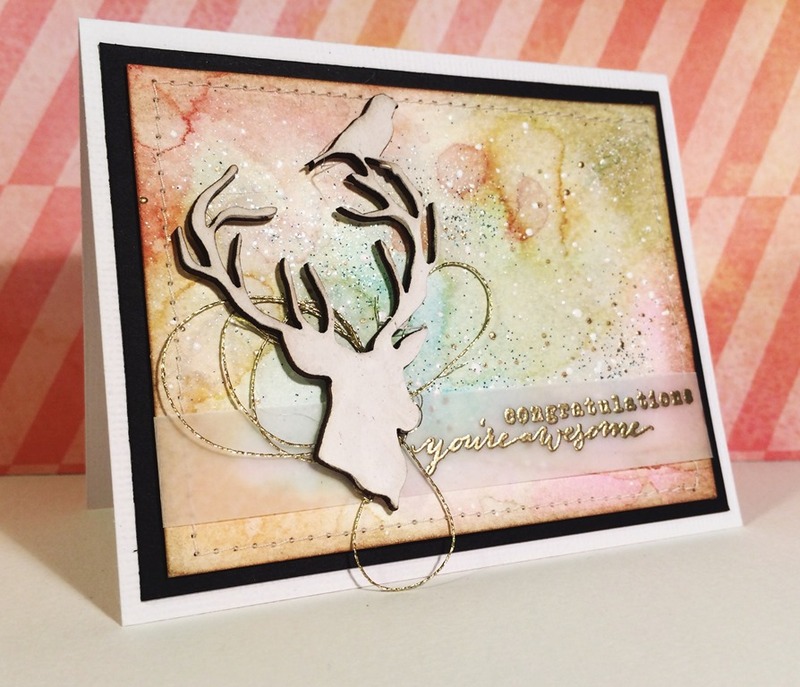 The colors turned out so nice and the deer looks great. I love using mixed media to make details or backgrounds, it’s so much fun and you never really know what it will look like before it’s done. 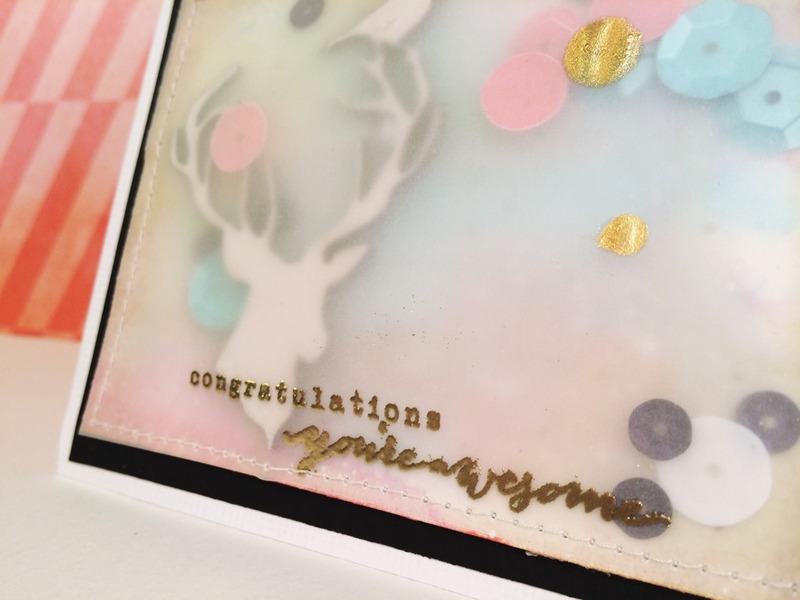 Terrific use of embossing powder! Thanks so much for sharing (and tweeting) with our products!